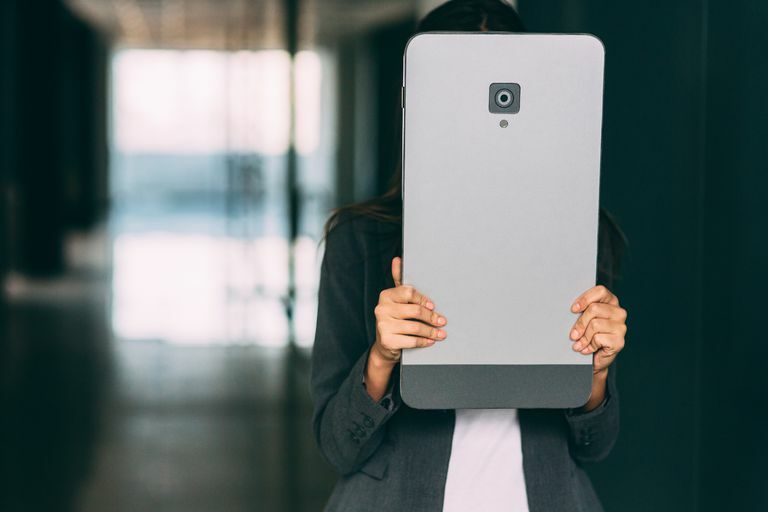 When a smartphone is too small and a tablet is too big, phablets are the 'just right' device in between. A phablet represents the best of both worlds with a large screen like a tablet, but a compact form like a smartphone. You can easily stow them in a jacket pocket, purse, or another bag. Put simply, phablets are big smartphones. The information below should apply no matter who made your Android device: Samsung, Google, Huawei, Xiaomi, etc. Phablets have the power to replace your smartphone, tablet, and laptop — at least most of the time. Most phablets have a screen size between five and seven inches diagonally, but the actual size of the device varies widely. Some models are hard to hold and use in one hand, and most won't fit comfortably into a pants pocket, at least when the user is sitting down, which may be why users want phablets that are also foldable phones. The tradeoff in size means that you have a more powerful device with a bigger battery, advanced chipset, and better graphics, so you can stream videos, play games, and be productive longer. It's also much more comfortable for people with larger hands or clumsy fingers. For those with low vision, a phablet is much easier to read. Plus. some phablets come with a stylus, and the features like the Samsung S Note app can take written words and turn them into editable text, which is very convenient for taking notes or writing on the fly. The first modern phablet was the 5.29-inch Samsung Galaxy Note, which debuted in 2011, and is the most well-known line of models. The Galaxy Note had mixed reviews and was mocked by many, but paved the path for the thinner and lighter phablets that came later. Part of the reason it received criticism is that it looked a bit silly when using it as a phone. Usage patterns have changed, as people make fewer traditional phone calls, and more video chats and wired and wireless headsets have become more common. That led to Reuters naming 2013 the "Year of the Phablet," in part based on the slew of product announcements at the annual Consumer Electronics Show in Las Vegas. In addition to Samsung, brands, including Lenovo, LG, HTC, Huawei, Sony, and ZTE have phablets in their portfolio. Apple, once opposed to making a phablet phone, introduced iPhone 6 Plus. While the company doesn't use the term phablet, the 5.5-inch screen certainly qualifies it as one, and its popularity led Apple to continues to produce these bigger phones. In late 2017, the term phablet resurged with the release of the Samsung Galaxy Note 8, which sports a whopping 6.3-inch screen and two rear cameras: a wide angle and a telephoto. Since then, Samsung has continued to make large phones, and Apple has jumped into the fray with the iPhone X line. It looks like phablets aren't going anywhere anytime soon. What's the Deal With Samsung's Foldable Phone?